Johanna Trimble is a member of several patient groups advocating for patient safety and better care. Included are Patients for Patient Safety Canada and the BC Patient Voices Network. Issues of overmedication of elders and adverse drug events drive her passion for the work. She has served on the provincial Polypharmacy Risk Reduction Initiative for five years. She has a faculty appointment with the Call for Less Antipsychotics in Residential Care Initiative at the BC Patient Safety and Quality Council (BCPSQC). She received a provincial appointment as a council member of the BCPSQC in 2016. In 2016 she also received the Canadian Individual Champion Award from the Canadian Patient Safety Institute and HealthCareCAN. 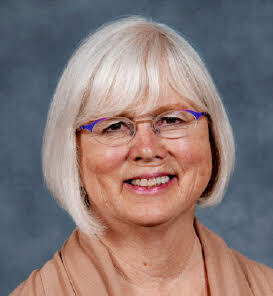 As well, she is an Honorary Lecturer in Community Geriatrics for the Department of Family Practice at the University of British Columbia (UBC), Canada. She has taught in the PharmD program at UBC for the past two years on medication issues in Residential Care and the importance of family involvement. She is a team member in research programs at both UBC and McMaster University.